WOODLAND PARK, Colo. – A lawyer representing Patrick Frazee, the fiancé of a missing Woodland Park mom who has not been since late November, said Wednesday his client continues to cooperate with law enforcement in the investigation, following rumors which have stemmed from his absence during a Monday press conference. 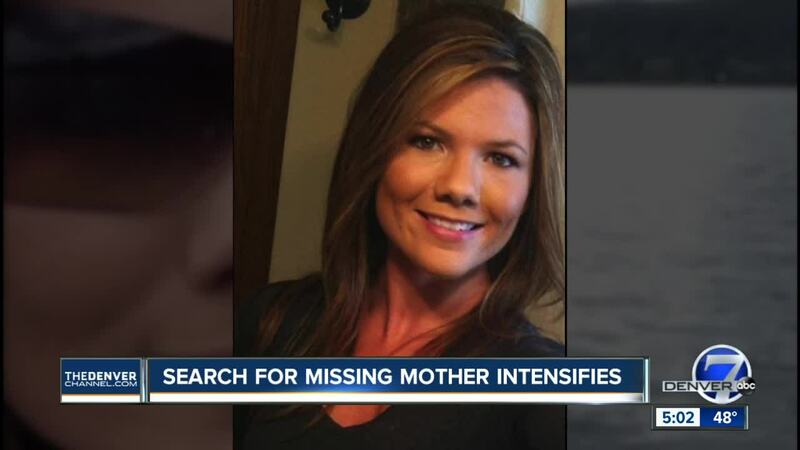 In a statement sent to Denver7, the law office of Jeremy Loew said Frazee continues to cooperate in the missing person investigation of 29-year-old Kelsey Berreth , adding he has provided not only interviews to police, but has also voluntarily released his phone to be searched by investigators, and undergone buccal swaps and photographs. “Much has been said over the news and social media about Mr. Frazee’s absence at the local new conference recently held by the Woodland Park Police Department on December 10, 2018. Mr. Frazee was first notified of the press conference approximately an hour prior to its commencement. Had he been given more advance notice, he would have participated,” the release states. It further states that Frazee will not “speak to the media about this case, as he does not want to impede” the missing person’s investigation. Police on Tuesday released surveillance video of Berreth that was taken at the Safeway grocery store in Woodland Park on Nov. 22— the day she was last seen. The young woman has not been seen since, though her cell phone pinged to a location near Gooding, Idaho on Nov. 25, police said – about 800 miles from Woodland Park. Police Chief Miles De Young also said Monday that a text message sent that same day from Berreth’s phone said she wouldn’t be at work the following week. Police said detectives searched Berreth's home and both of her vehicles and have been unable to find any sign of her. Berreth’s brother told Good Morning America that she did not seem to have packed to go anywhere, since her makeup and suitcases were untouched at her home. Berreth’s mother, Cheryl Berreth, said Monday that her daughter’s disappearance was “completely out of character” and police said the case was a missing persons case as of Monday. De Young also said Monday that Frazee had told officers he hadn’t heard from Berreth since Nov. 25 and had not seen her since Nov. 22 when they last exchanged their year-old daughter. ABC News attempted to speak with Frazee Tuesday outside an attorney’s office in Colorado Springs but he declined to talk. Berreth was last seen in a white shirt, gray sweater, blue pants, brown purse and white shoes. She is described as a white female standing 5 feet, three inches tall and weighing 110 pounds. She has brown hair and green eyes. Anybody with information on her disappearance is encouraged to contact the Woodland Park Police Department at 719-687-9262 or email cadams@city-woodlandpark.org . A Facebook page has been set up to help find her and Cheryl Berreth encouraged people to share the page.